Polly with 5 children to raise. Polly married Taylor Goodman in 1920. WILLIAM GUFFEY was born May 04, 1798 in Tennessee and died February 15, 1856 in Caldwell County, Missouri. He married MARGARET PILE August 12, 1820 in Morgan County, Tennessee. She was born October 17, 1800. In 1860 census, William and Margaret are listed asliving in Grandriver Township, Caldwell County, Missouri. While William was hunting wild turkeys he got wet while wading in deep snow. He caught pneumonia and died Feb. 15, 1856. He was buried in Guffey Cemetery, Caldwell, Missouri. William and family came to the Breckenridge area in 1840, driving an ox team from Indiana. The homestead was in Section 33, Breckenridge Township, just east of the Guffey Cemetery. There was a spring about 80 yards east of the log house where the family got water. Soon after sundown, the family came inside the cabin and barred the door. Then the wolves came to that spring and howled "until it made one's hair stand on end." i. DELILAH GUFFEY, b. March 06, 1822, Morgan County, Tennessee; d. December 28, 1897, Caldwell County, Missorui. iii. GENIRA GUFFEY, b. February 15, 1825, Tennessee. iv. WILLIAM FETTERSON GUFFEY, b. January 01, 1827, Overton County, Tennessee; d. December 26, 1908.
v. STOKELY ROWAN GUFFEY, b. January 11, 1828, Overton County, Tennessee; d. December 10, 1919, Hamilton, Caldwell, Missouri. vi. ASHLEY RICHARD GUFFEY, b. March 16, 1831, Clinton County, Indiana; d. November 14, 1918, National Military Home, Delaware, Leavenworth County, Kansas. vii. CATHARINE GUFFEY, b. March 16, 1833, Indiana; d. September 11, 1836.
viii. EPHRAIM GUFFEY, b. August 15, 1835, Indiana; d. September 13, 1836.
ix. ANDREW JACKSON GUFFEY, b. February 17, 1837, Missouri; d. January 19, 1900, Bruno, Marion, Arkansas. x. MARGARET AMELIA GUFFEY, b. April 18, 1840, Indiana; d. May 10, 1875.
xi. OLIVER PERRY GUFFEY, b. October 30, 1842, Grand River Township, Caldwell, Missouri; d. February 26, 1914, Sutherland, Lincoln, Nebraska. xii. MARTHA ANN GUFFEY, b. July 02, 1844; d. June 1846.
xiii. REBECCA ELLEN GUFFEY, b. October 15, 1846; d. August 1850.
xiv. ABNER JOHNSON GUFFEY, b. December 02, 1849, Grand River Township, Caldwell, Missouri; d. January 24, 1916, Breckenridge Township, Caldwell, Missouri. 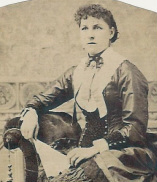 MARY GUFFEY born in Tennessee married JOSEPH HATFIELD. DELILAH GUFFEY (WILLIAM) was born March 06, 1822 in Morgan County, Tennessee, and died December 28, 1897 in Caldwell County, Missorui. She married (1) WILLIAM HARRISON BOGAN. She married (2) JOHN PEMBERTON Abt. 1857. He was born October 11, 1811, and died February 08, 1861.
i. JAMES F. BOGAN, b. Abt. 1844, Missouri. ii. WILLIAM BOGAN, b. Abt. 1846, Missouri; d. Abt. 1882, Caldwell County, Missouri. iii. ROBERT HENRY BOGAN, b. March 17, 1848, Millville, Ray, Missouri; d. January 22, 1939, Caldwell County, Missouri. iv. WALTER STOKELY BOGAN, b. Abt. 1850, Ray County, Missouri; d. Abt. 1877, Caldwell County, Missouri. v. N. S. BOGAN, b. Abt. 1856, Missouri. WILLIAM FETTERSON GUFFEY (WILLIAM) was born January 01, 1827 in Overton County, Tennessee, and died December 26, 1908. He married FRANCIS L. DAVIS. She was born Abt. 1840 in Ohio. i. JAMES WALTER GUFFEY, b. August 24, 1876, Caldwell County, Missorui. ii. JOHN CLABOURN GUFFEY, b. November 06, 1860, Breckenridge Township, Caldwell, Missouri; d. February 21, 1917, Breckenridge Township, Caldwell, Missouri. ii. WILLIAM BENJAMIN GUFFEY, b. May 03, 1858; d. March 06, 1940.
iii. MARCUS L. GUFFEY, b. July 17, 1860, Caldwell County, Missorui; d. February 1951, Fairway, Johnson, Kansas. iv. AMELIA ALICE GUFFEY, b. January 25, 1864, Caldwell County, Missorui. v. THOMAS SHERIDAN GUFFEY, b. May 07, 1865, Breckenridge Township, Caldwell, Missouri; d. September 25, 1940, Breckenridge Township, Caldwell, Missouri. vi. JAMES S. GUFFEY, b. June 23, 1867, Caldwell County, Missorui. vii. DORA D. GUFFEY, b. August 08, 1869, Fairview Township, Caldwell, Missouri. viii. LAURA A. GUFFEY, b. August 29, 1874, Breckenridge Township, Caldwell, Missouri; d. August 11, 1953, Breckenridge Township, Caldwell, Missouri. ix. ELLEN A. GUFFEY, b. Abt. 1876, Fairview Township, Caldell, Missouri; m. GEORGE PEARSEY HOPKINS. x. FESTUS B. GUFFEY, b. Abt. 1878, Fairview Township, Caldell, Missouri. xi. EVA CATHERINE GUFFEY, b. April 06, 1882, Caldwell County, Missorui; d. June 29, 1944, St. Joseph, Buchanan, Missouri. xii. BERTHA MAY GUFFEY, b. September 09, 1888, Missouri; d. April 12, 1921, Hamilton, Caldwell, Missouri. Bertha clerked for many years in Anderson's store. She never married. ASHLEY RICHARD GUFFEY (WILLIAM) was born March 16, 1831 in Clinton County, Indiana, and died November 14, 1918 in National Military Home, Delaware, Leavenworth County, Kansas. He married (1) ANNIE DIANA HATFIELD 1852, daughter of JOSEPH HATFIELD and MARY GUFFEY (born about 1794 in TN married Joseph Hatfield by 1816). She was born Abt. 1833 in Tennessee, and died September 07, 1883 in Dublin, Barton County, Missouri. He married (2) ELIZABETH JANE BROWN BASCOM KUNKLER MINNIS October 06, 1889 in Dublin, Barton County, Missouri, daughter of THOMAS BROWN and ADELINE. Elizabeth Jane Brown was married three times before marrying Asley Richard Guffey. She was born September 26, 1843 in Buncombe County, North Carolina, and died November 22, 1924. Ashley Guffey served in the Civil War (Union) Company E. 6, Regiment Missouri State Militia Calvary and was in the Battle of Lone Jack. Ashey Guffey enlisted January 17, 1862 amd discharged March 27, 1865.
i. WILLIAM F GUFFEY, b. 1853, Missouri. ii. S. O. GUFFEY, b. Abt. 1855, Missouri. iii. JEREMIAH CALVIN GUFFEY, b. Abt. 1858, Caldwell County, Missorui. iv. ASHLEY WARREN GUFFEY, b. 1861, Caldwell County, Missouri. v. MARY MARINDA GUFFEY, b. 1862, Caldwell County, Missouri. EPHRAIM GUFFEY (WILLIAM) was born August 15, 1835 in Indiana, and died September 13, 1836. He married SARAH DENNY. ANDREW JACKSON GUFFEY (WILLIAM) was born February 17, 1837 in Missouri, and died January 19, 1900 in Bruno, Marion, Arkansas. Occupation: Farmer. He married (1) ELIZA ANN FORBES. She was born Abt. 1849 in Indiana. He married (2) MARY "POLLY" ANN BRANSCUM 1864 in Searcy County, Arkansas, daughter of WESLEY BRANSCOMB and JANE DOBBS. She was born Abt. 1844 in Kentucky, and died Abt. 1872 in Marion County, Arkansas. In 1880 Andrew and his family were living in Locust Grove, Stone, Arkansas. Andrew and Mary A. are in Searcy Co Ar Locust Grove twp 1870 census. They are living next door to Wesly Branscomb age 64 in 1870.
i. STOKELY RICHARD GUFFEY, b. April 29, 1878, Stone County, Arkansas; d. February 20, 1962, Stiwell, Adair, Oklahoma. ii. ELSIE ELIZABETH GUFFEY, b. January 06, 1869, Timbo Stone, Arkansas; d. January 06, 1942, Santa Barbara, California. iii. ABNER TELL GUFFEY, b. April 10, 1870, Marion, Arkansas; d. February 25, 1917, Jackson County, Arkansas. iv. MARGARET GUFFEY, b. 1866; m. ULYSSIS S. G. COPELAND, Searcy County, Arkansas. OLIVER PERRY GUFFEY (WILLIAM) was born October 30, 1842 in Grand River Township, Caldwell, Missouri, and died February 26, 1914 in Sutherland, Lincoln, Nebraska. He married (1) MAHALA M. HALE. She died 1880. He married (2) ELLA BROOKS 1883. OLIVER PERRY GUFFEY was born in Caldwell county, Mo., October 29, 1842. His father, William Guffey, was a native of Tennessee and died in Caldwell County, Mo, whither he had moved in 1836, his death taking place twenty years later. All his life he spent in farming. The mother of Mr. Guffey bore the maiden name of Margaret Pile. She, also, was a native of Tennessee--dying in Caldwell county, Mo, in 1886, at an advanced age. The subject of this sketch is one of a family of fourteen children (seven sons and seven daughters), seven only of whom are living. Of this number William F. resides in Caldwell county, Mo., as also does Stokely S.; Ashley R. is in Indian Territory; Andrew J. resides in Stone county, Ark. ; the subject of this sketch in Shelton; and Abner J. on the old homestead in Caldwell county, Mo. ; Delilah, now Mrs. Pemberton, lives in Caldwell county, Mo. Mr. Guffey has seen in his time a good deal of Western life and has also experienced many of its common and some of its uncommon phases. Reared on a farm, at an early age he engaged in freighting goods overland from Atchison, Kansas., to Denver, Colo. This was before the day of railroads. He drove across the plains with an ox team, making the trip in forty-five days. Spending a few months in the vicinity of Denver he then went to New Mexico, hauling supplies with mule teams to the military post at Ft. Union. Subsequent to this he engaged, with indifferent success, in mining, but abandoned it for the saw-mill business, and finally returned to Caldwell county, Mo., making the return trip this time with mules. For a time he settled down to farming, operating the old homestead; then, buying forty acres and renting some adjoining land, he continued to farm till 1882, when he removed to Hamilton, Mo., and engaged in live stock speculation. This business he followed for four years, buying, feeding and shipping, at the end of which time he removed to Shelton and engaged in the same business This was in 1886. In the following year he bought out the general store of F. H. Moore, which he has since operated in connection with his stock interests. The style of the firm is Guffey, Fine & Co.
Mr. Guffey was married in 1871 to Miss Mahala Hale, daughter of Richard Hale of Missouri. From this marriage came two children--Richard A. and Lulu M. Mrs. Guffey died in the spring of 1880, being at the time at her father's home in Daviess county, Mo. In 1883 Mr. Guffey contracted a marriage with Miss Ella Brooks, born in Ohio, daughter of James Brooks of Missouri. One child has come to bless this union--James P. by name. i. RICHARD GUFFEY, b. Abt. 1873, Missouri. ii. LULU GUFFEY, b. Abt. 1876, Missorui. ABNER JOHNSON GUFFEY (WILLIAM) was born December 02, 1849 in Grand River Township, Caldwell, Missouri, and died January 24, 1916 in Breckenridge Township, Caldwell, Missouri. He married MARY ELIZABETH COATS August 10, 1873 in Breckenridge Township, Caldwell, Missouri. The marriage record identifies him as Absolom Guffey. A. J. Guffey who had been ill for some months at his home southwest of town, died last Monday. The funeral was held Wednesday afternoon at the United Brethern church of that locality, Rev. G. A. Hudson officiating. Interment was made in the cemetery on the Guffey farm. The Woodmen of the World of which the deceased was an honored member, took charge at the grave using the beautiful ritualistic ceremony of the order. Despite the ceaseless fall rain the funeral was largely attended for Mr. Guffey was a man honored and respected by all who knew him and the whole community mourned him as a personal loss. He was a man of sterling worth, honest, warm hearted, liberal and generous. No one had anything but words of praise and commendation for him whose whole life had been an open book. He was a good citizen, a successful farmer, a consistent Christian, gentleman, a loving husband and father and a friend to every one. He will be sadly missed in the community where he spent his entire life. His place cannot be filled. Abner Johnson Guffey was born on the Guffey homestead south of Breckenridge, December 2nd, 1849, died at the same home January 24th, 1916. Age 67 years, 1 month, 22 days. During his early boyhood this brother suffered the loss of his father and was obliged to live his long life without this much needed council and guidance. It is a rare case but true in this instance that Mr. Guffey never changed his location and passed away on the place that gave him birth. In 1873, on the 10th day of August he was united in marriage to Miss Mary E. Coats and to this union were born four children, Mesdames Edith Williams, Nellie Bowers, and Della Arms and one son Sidney B. Guffey, all of whom with a devoted wife survive his death. Mr. Guffey was converted to the Christian faith in the fall of 1883, during a meeting conducted by Rev. L. Fisher and united with the United Brethern church in August 1884. In all that time this brother has been an active worker, a credit to the church and gave full profit of his conversion. He leaves the enviable record behind him of having served as Sunday School Superintendent for thirty consecutive years. i. MESDAMES EDITH GUFFEY, b. January 16, 1874, Breckenridge Township, Caldwell, Missouri; d. August 19, 1940, Breckenridge Township, Caldwell, Missouri. iii. SIDNEY BURNESS GUFFEY, b. March 19, 1877, Breckenridge Township, Caldwell, Missouri; d. January 06, 1966, Hamilton, Caldwell, Missouri. iv. DELLA GUFFEY, b. February 28, 1885, Breckenridge Township, Caldwell, Missouri; d. December 07, 1946, Kansas City, Jackson, Missouri. i. LENA D. BOGAN, b. October 05, 1887, Breckenridge Township, Caldwell, Missouri; d. March 23, 1977, Jamesport, Daviess, Missouri. ii. ALTA GLENIS BOGAN, b. January 11, 1890, Missouri; d. August 24, 1971, Caldwell County, Missouri. iii. RILLA ALEDA BOGAN, b. September 28, 1893, Breckenridge Township, Caldwell, Missouri; d. May 25, 1969, Caldwell County, Missouri. JOHN CLABOURN GUFFEY (WILLIAM FETTERSON, WILLIAM) was born November 06, 1860 in Breckenridge Township, Caldwell, Missouri, and died February 21, 1917 in Breckenridge Township, Caldwell, Missouri. He married (1) JULIA AMANDA LOONEY December 23, 1885 in Davis Township, Caldwell County, Missouri. She was born March 15, 1865 in Henry County, Illinois, and died June 05, 1894 in Caldwell County, Missouri. He married (2) MARY A. Abt. 1897.
ii. CLARENCE LEO GUFFEY, b. November 07, 1889, Breckenridge, Caldwell County, Missouri; d. June 21, 1994, Newton, Jasper County, Iowa. WILLIAM BENJAMIN GUFFEY (STOKELY ROWAN, WILLIAM) was born May 03, 1858, and died March 06, 1940. He married ELLA C. SNYDER. She was born 1868, and died 1951.
i. ALBERT V. GUFFEY, b. Abt. 1893, Missouri; m. NORA B. SCHULTZ, August 09, 1913, Hamilton, Caldwell, Missouri. iii. ESTHER A. GUFFEY, b. October 03, 1898, Breckenridge Township, Caldwell, Missouri; d. April 22, 1993, Chillicothe, Livingston, Missouri. iv. JOHN WILLIAM GUFFEY, b. September 30, 1895, Breckenridge Township, Caldwell, Missouri; d. June 02, 1978.
v. JOSEPH B. GUFFEY, b. Abt. 1906, Caldwell County, Missorui. MARCUS L. GUFFEY (STOKELY ROWAN, WILLIAM) was born July 17, 1860 in Caldwell County, Missorui, and died February 1951 in Fairway, Johnson, Kansas. He married (1) CORDELIA SHOOK March 13, 1883 in Mooresville, Livingston, Missouri. He married (2) JOSEPHINE BELLE MCCLURE February 01, 1885 in Caldwell County, Missouri. ii. WILLIAM STOKELY GUFFEY, b. June 12, 1887, Missouri; d. May 22, 1973.
i. MERLE STOKELY GUFFEY, b. December 22, 1892, Thomas County, Kansas; d. July 21, 1979.
ii. THOMAS CECIL GUFFEY, b. 1898; d. 1980.
iii. PAUL FOSTER GUFFEY, b. March 05, 1900, Fairview Township, Caldell, Missouri; m. NELLIE RUTH DOUGLAS, October 07, 1922, Breckenridge Township, Caldwell, Missouri. iv. LILA MARGRET LOUISE GUFFEY, b. Abt. 1906, Missouri; d. Aft. January 1977. ASHLEY WARREN GUFFEY (ASHLEY RICHARD, WILLIAM) was born 1861 in Caldwell County, Missouri. STOKELY RICHARD GUFFEY (ANDREW JACKSON, WILLIAM) was born April 29, 1878 in Stone County, Arkansas, and died February 20, 1962 in Stiwell, Adair, Oklahoma. He married RENA IRENE PAGE March 06, 1898 in Bruno, Marion, Arkansas. She was born February 03, 1879 in Texas, and died October 25, 1958 in Stiwell, Adair, Oklahoma. i. JOHN ANDREW GUFFEY, b. January 04, 1901, Bruno, Marion, Arkansas; d. July 20, 1960, Grandview, Yakiama, Washington; m. MARY BELLE STARR, January 26, 1924, Stiwell, Adair, Oklahoma; b. February 06, 1906, Stiwell, Adair, Oklahoma; d. June 08, 1981, Grandview, Yakiama, Washington. ELSIE ELIZABETH GUFFEY (ANDREW JACKSON, WILLIAM) was born January 06, 1869 in Timbo Stone, Arkansas, and died January 06, 1942 in Santa Barbara, California. She married CHARLES WILLIAM FORBES February 05, 1885 in Marion County, Arkansas. He was born January 10, 1850 in Iowa. i. WILLIAM A FORBES, b. 1889.
ii. OLIVER U. FORBES, b. 1890; d. 1959, Las Animas, Colorado; m. FLORENCE, June 03, 1922; b. 1902; d. 1986, Las Animas, Colorado. iii. CLAUDE ANDREW FORBES, b. August 01, 1894, Okamulgee, IT, Oklahoma; d. December 13, 1963, Nampa, Idaho; m. ELMIRA LUELLA MCCOY, 1916; b. October 19, 1900, Roff, Oklahoma; d. June 27, 1974, Los Angeles, California. iv. WILLIS FORBES, b. November 29, 1895, Middleoatha, Lincoln County, Oklahoma; d. January 08, 1972, Las Animas, Colorado; m. (1) EDITH; b. 1905; d. 1978, Las Animas, Colorado; m. (2) ROSE EDITH TAYLOR, December 19, 1919, Perryton, Texas; b. January 15, 1905, Gray County, Oklahoma; d. February 23, 1978, Colorado. Abner Tell Guffey was on the 1860 census for Locust Grove, Stone, Arkansas. At that time, he was 11 years old and it stated that he "works on farm". Listed on 1910 census in Jackson County, Arkansas. Living with wife Polly and son William R. Also living in the home were James Heltez (age 7) and Walter Smith (age 23). i. JANE E. GUFFEY, b. December 18, 1892; d. May 14, 1904.
ii. SAMIE R. GUFFEY, b. February 18, 1895; d. April 04, 1895.
iii. VIOLA GUFFEY, b. June 15, 1896; d. May 09, 1904.
iv. JAMES R. GUFFEY, b. July 17, 1901; d. April 29, 1904.
v. WILLIAM T. GUFFEY, b. September 23, 1903; d. October 11, 1903.
vi. WILLIAM ROBERT GUFFEY, b. October 26, 1908; d. 1987.
vii. ALBERT FRANKLIN GUFFEY, b. December 08, 1910; d. March 28, 1999.
viii. WOODROW WILSON GUFFEY, b. October 08, 1912; d. February 21, 1994.
ix. GLADYS HELEN GUFFEY, b. September 07, 1914; d. June 22, 1985.
ii. HARBAUGH ABNER GUFFEY, b. December 02, 1904, Breckenridge Township, Caldwell, Missouri; d. February 02, 1961, Elwood, Will, Illinois. iii. NELLIE RIVA GUFFEY, b. July 11, 1907, Breckenridge Township, Caldwell, Missouri; d. October 1971, Nevada, Vernon, Missouri. v. LLOYD KARL "BILL" JAMES. vii. OFFA P. "TURK" JAMES. viii. ROBERT E. LEE JAMES. i. MARIE GUFFEY, d. Bef. 2005; m. WELBORN. iii. ALAN ELLYSON GUFFEY, b. November 15, 1930, White Church, Kansas; d. July 17, 1994, Breckenridge, Caldwell, Missouri. iv. JANET ETHEL GUFFEY, b. June 30, 1932, White Church, Kansas; d. December 23, 2005, Breckenridge, Caldwell County, Missouri. THOMAS CECIL GUFFEY (THOMAS SHERIDAN, STOKELY ROWAN, WILLIAM) was born 1898, and died 1980. He married BONITA GRAY MCCARTNEY. She was born 1901, and died 1988.
i. WILLIAM GUFFEY, b. December 25, 1940.
ii. ARTIS LUCILLE GUFFEY, b. Abt. 1929, Fairview Township, Caldell, Missouri; m. MARSHALL DEAN GENTRY, December 20, 1952, Hamilton, Caldwell, Missouri. iii. DEAN ELDON GUFFEY, b. 1925, Breckenridge Township, Caldwell, Missouri; d. 1980, Hamilton, Caldwell, Missouri; m. VIRGINIA RODGERS. iv. GENE VERLIN GUFFEY, b. Abt. 1925, Missouri; d. February 14, 2008, Cameron Hospital, Clinton County, Missouri. v. LOIS GUFFEY, b. 1931; m. ALDEN RICHARD LONGWELL. LILA MARGRET LOUISE GUFFEY (THOMAS SHERIDAN, STOKELY ROWAN, WILLIAM) was born Abt. 1906 in Missouri, and died Aft. January 1977. She married ALVA RAYMOND SPIDLE March 03, 1926 in Gallatin, Daviess, Missouri. WILLIAM ROBERT GUFFEY (ABNER TELL, ANDREW JACKSON, WILLIAM) was born October 26, 1908, and died 1987. He married CHESTER IONA TURNER January 01, 1929 in Jackson County, Arkansas, daughter of EDGAR TURNER and MARY WEST. She was born 1902, and died 1986. WILLIAM ROBERT GUFFEY: Occupation: Deputy Sheriff of Jackson County from 1965 to 1973. William and Chester Guffey lived at Jacksonport, Arkansas. ii. MARY ANN GUFFEY, b. May 18, 1939.
ii. JIMMY GUFFEY, b. July 22, 1935; d. 1975.
iv. EDITH GUFFEY, b. May 05, 1939; d. July 02, 1998.
vi. 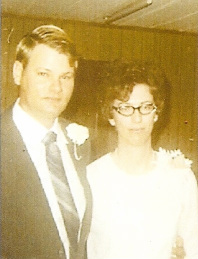 GERALD WAYNE GUFFEY, m. ANN CHANEY, September 03, 1971, Jackson County, Arkansas. Obituary for WOODROW WILSON GUFFEY: Woodrow Wilson Guffey, 81, of Grubbs, died Monday, February 21, 1994, at his home. He was a retired farmer and Jackson County employee and a member of the Church of Christ. He was also a former member of the Grubbs Town Council. Survivors include: his wife, Mabel H. Guffey, five sons, J.W. 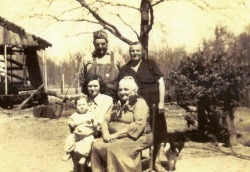 Guffey of Conway, Kenneth Guffey of Memphis, Lavelle Guffey of Texas, Danny Guffey and Gerald Guffey both of Newport, two daughters, Bobbie Meiner and Sue Williamson, both of Hazen. Two brothers, Albert & Doyle Guffey, both of Tuckerman, three half-brothers, L.C. & Luther Goodman, both of Tuckerman and H.O. Goodman of Indiana, one half-sister Imaneal Lassiter of Indiana. Three grandchildren and 13 great grandchildren. Visitation will be from 5 to 9p.m. Tuesday, February 22 at the funeral home. Funeral services will be at 10a.m. Wednesday, February 23 at Grubbs Church of Christ. Burial will be in Ballews Chapel Cemetery. Llano Robinson will officiate. Pallbearers will be Dennis Ray, Donald Ray, Billy Tate, Bill Fletcher, Glenn Hill and Skeeter Grady. Honorary pallbearers will be: Gene Sweat, Sonny McCoy, J.A. Hopkins and Fletcher Tate. Dillinger funeral home is in charge of arrangements. GLADYS HELEN GUFFEY (ABNER TELL, ANDREW JACKSON, WILLIAM) was born September 07, 1914, and died June 22, 1985. 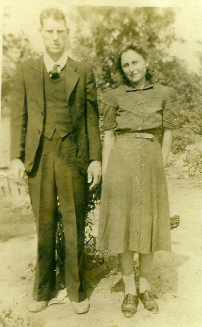 She married OWEN SEBASTIAN TURNER June 14, 1931 in Jackson County, Arkansas, son of EDGAR TURNER and MARY WEST. He was born February 17, 1904, and died April 29, 1979.
i. BERNICE JANETTA TURNER, b. October 12, 1931; d. October 11, 2005.
iv. MARTHA ALICE TURNER, b. August 18, 1936; d. November 13, 2007.
v. ROY EDGAR TURNER, b. October 16, 1940; d. December 22, 1989. WALTER DOYLE GUFFEY (ABNER TELL, ANDREW JACKSON, WILLIAM) was born June 04, 1916, and died January 12, 2008. He married OPAL BERNICE GOATCHER October 07, 1935 in Jackson County, Arkansas, daughter of JOHN GOATCHER and MARTHA TEAGUE. She was born September 04, 1917 in Jackson County, Arkansas. iii. JANICE LUCILLE GUFFEY, Jackson County, Arkansas. Obituary: Doyle Guffey - Doyle Guffey, 91, of Newport died Saturday, Jan. 12, 2008. He is preceded in death by his parents, Abner and Polly Devora Guffey Goodman; grandson, Jeff Vickers; great-grandson, Jonathon Tubbs; brothers, Robert, Albert and Woodrow Guffey, Orden and L.C. 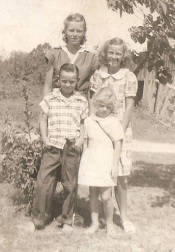 Goodman; and sisters, Gladys Turner and Ima Neil Lassiter. Survivors include his wife, Opal Guffey; a son, Boyce Ray (Thelma) Guf­fey; daughters, Una Jo (Darrell) Vickers and Janice (John) Baxter; brother, Luther Goodman; and several grandchildren. Services were held in Cash First Assembly of God with burial in Ballews Chapel Cemetery. Obituary: Bernice Guffey - Opal Bernice Guffey, 93, of Cash departed this life Wednesday, December 29, 2010. She was a member of Cash Assembly of God Church. She was preceded in death by her husband of 72 years; Doyle Guffey, parents; John and Elizabeth (Teague) Goatcher, one grandson; Jeff Vickers, one great grandson; Jonathan Tubbs and one sister; Martha (Jackie) Lancaster. 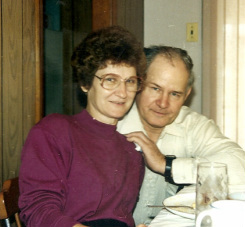 She enjoyed sewing, gardening, camping, hunting and loved her family and church family. She is survived by one son; Boyce Guffey (Thelma) of Cash, two daughters; Una Joe Vickers (Darrell) of Newport, Janice Baxter (John) of Cash, one sister; Ruby Neal Richardson of Jonesboro, six grandchildren, eight great grandchildren and seven great great grand-children. Burial was in Ballews Chapel Cemetery. MAE WILLIAMSON (MESDAMES EDITH GUFFEY, ABNER JOHNSON, WILLIAM) She married HARRY MILNE. i. EDNA MAE MILNE, m. CHAFFIN. NELLIE RIVA GUFFEY (SIDNEY BURNESS, ABNER JOHNSON, WILLIAM) was born July 11, 1907 in Breckenridge Township, Caldwell, Missouri, and died October 1971 in Nevada, Vernon, Missouri. She married TED R. SADLER. ALAN ELLYSON GUFFEY (WILLIAM STOKELY, MARCUS L., STOKELY ROWAN, WILLIAM) was born November 15, 1930 in White Church, Kansas, and died July 17, 1994 in Breckenridge, Caldwell, Missouri. He married JEANE ANNE MURRAY September 09, 1956 in Breckenridge Township, Caldwell, Missouri. JANET ETHEL GUFFEY (WILLIAM STOKELY, MARCUS L., STOKELY ROWAN, WILLIAM) was born June 30, 1932 in White Church, Kansas, and died December 23, 2005 in Breckenridge, Caldwell County, Missouri. She married DAVID ENCELL GREENWOOD May 31, 1952 in Breckenridge, Caldwell County, Missouri, son of EDMOND GREENWOOD and ELENORA WILL. He was born November 17, 1921 in Lock Springs, Daviess County, Missouri, and died October 29, 2008 in Breckenridge, Caldwell County, Missouri. WILLIAM GUFFEY (THOMAS CECIL, THOMAS SHERIDAN, STOKELY ROWAN, WILLIAM) was born December 25, 1940. He married BRENDA LEE HAYES. GENEVIEVE GUFFEY (WILLIAM ROBERT, ABNER TELL, ANDREW JACKSON, WILLIAM) married WILLIAM L. LASSITER August 17, 1946 in Jackson County, Arkansas, son of FRED LASSITER and TEMPLE INGRAM. 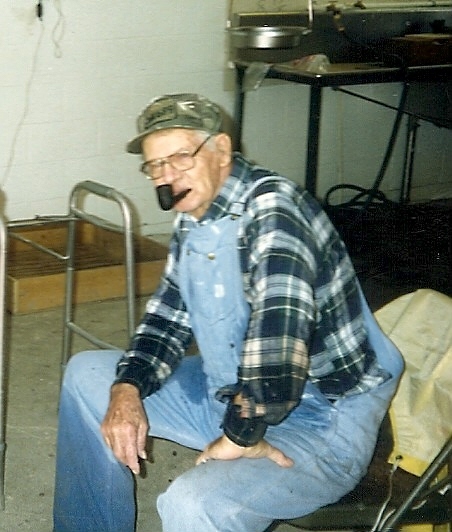 He was born February 13, 1924 in Tuckerman, Arkansas, and died May 16, 2002. Williams Bryan Lassiter, Rob Gordon, and members of the Men's Sunday School Class: G. L. Balch, Charles Stephens, Oscar Lassiter, Jack Phipps, Dan Haygood, Ben Jones, Leo Stuart, Penn Cockrill, and Royce Grigsby. Memorials may be made to the Diaz Baptist Church, P.O. Box 13, Diaz. Arrangements by Jackson's Newport Funeral Home. i. BOBBIE LEWIS LASSITER, m. SUZANNE BOGGS. iv. CHERYL LASSITER, m. GREGORY GORDON. MARY ANN GUFFEY (WILLIAM ROBERT, ABNER TELL, ANDREW JACKSON, WILLIAM) married W. D. DURHAM March 18, 1961 in Jackson County, Arkansas. The Durham family were last known to be living at Rome, Georgia. WILLIAM ROBERT GUFFEY (WILLIAM ROBERT, ABNER TELL, ANDREW JACKSON, WILLIAM) married BERTHA ALBERTSON. 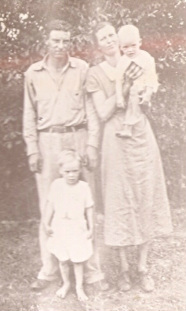 W. R. Guffey and family were last known to be living at Heber Springs, Arkansas. VELMA JEAN GUFFEY (WILLIAM ROBERT, ABNER TELL, ANDREW JACKSON, WILLIAM) married MAX WARREN. The Warren family was last known to be living at Jacksonport, Arkansas. Obituary MAX WARREN: Mr. Max Warren, a lifelong resident of Jacksonport, departed this life on Tuesday, May 24, 2011 at Little Rock, Arkansas at the age of 75. He was born January 28, 1936 at Jacksonport, the son of Elmo and Katherine (Davis) Warren. 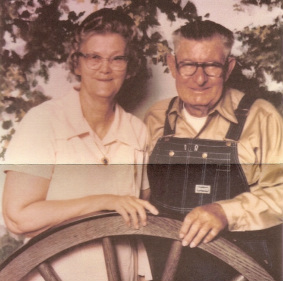 Mr. Max Warren married Miss Velma Jean Guffey on February 15, 1954. They made their home in Jacksonport, and over the past fifty-seven years have raised four children, enjoyed nine grandchildren, ten great grandchildren, loved their family and many friends. Mr. Warren has been an active and devoted member of the Jacksonport Baptist Church for fifty-two years. Since joining the Church in1959, he has served the Lord and His Church as a faithful witness and with his work as a Sunday School Teacher and Director, a Church Moderator, a member of the Finance Committee and House and Grounds Committee. Mr. Warren’s greatest love was his Savior, Jesus Christ. The other great loves of his life, evident to all who knew him, were his family and his church family. Mr. Warren’s pride and greatest source of joy were the accomplishments of his children, grandchildren, and great grandchildren. Always the devoted father and grandfather, he enthusiastically attended every sports activity and recital possible. Mr. Max Warren loved his family and was loved by his family. He enjoyed hunting and fishing, especially with his sons and grandsons. He also enjoyed gardening and was an avid fan of the Newport Greyhounds. Mr. Warren retired from Revere Copper and Brass where he worked for many years. He was a member of the Masonic Lodge and served on the Jacksonport City Council for many years and was instrumental in getting the streets of Jacksonport paved. He was preceded in death by his parents, Elmo and Katherine Warren; and one brother, Lloyd Warren. Mr. Warren is survived by his wife of fifty-seven years, Velma Jean Warren of Jacksonport; four children, Vickie Dingman and husband Jim of Jacksonport, Mike Warren and wife Cynthia of Newport, Billy Max Warren and wife Kim of Newport, and Karen Bradley and husband Terry of Jacksonport; three sisters, Jennetta Newman and husband Jimmy of Paragould, Inez Blanton of Jacksonport, and Betty Jones of Jacksonport; one brother, Cloys Warren and wife Margret of Alvin, Texas; grandchildren, Kenny and Gayla Dingman, Tonya and Jason Phillips, Jennifer and Clint Ritchie, Anna and T.J. Bowen, Michael Warren, Jr., Megan Warren, Dustin and Katy Warren, Matthew Bradley, and Emily Bradley; ten great-grandchildren, Lindsey Dingman, Landen Phillips, Madison Phillips, Anderson Phillips, Aniston Phillips, Addison Ritchie, Whitley Ritchie, Trey Bowen, Jayla Tell, and Isaiah Warren; and a lifetime of friends. Friends may visit at the funeral home Thursday, 6:00-8:00 p.m. Funeral services are 11:00 a.m. Friday at Jacksonport Baptist Church with interment in Watson Cemetery. Those honored to serve as pallbearers are Kenny Dingman, Dustin Warren, Michael Warren, Matthew Bradley, Will Finn, and Cloys Warren, Jr. and those honored to be named as honorary pallbearers are Buddy Dyke, Jim Montgomery, Leon Baugh, Bill Jones, and the Men of Jacksonport Baptist Church. GLENNA MAE GUFFEY (WILLIAM ROBERT, ABNER TELL, ANDREW JACKSON, WILLIAM) married JERRY TURNER June 17, 1958 in Jackson County, Arkansas. ALBERT GUFFEY JR. (ALBERT FRANKLIN GUFFEY, ABNER TELL, ANDREW JACKSON, WILLIAM) He married BETTY DEAN DUNN August 13, 1955 in Jackson County, Arkansas. Obituary for ALBERT GUFFEY, JR. : Albert Guffey Jr. 76, of Vernal, Utah, passed away Feb. 3, 2010 at his home in Vernal. 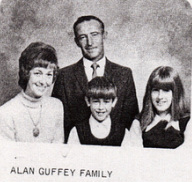 Al was born Feb. 6, 1934 in Battle Axe, Arkansas, eldest son of Albert and Mildred Gifford Guffey. Al married the love of his life Bettye Dean Dunn in 1955. 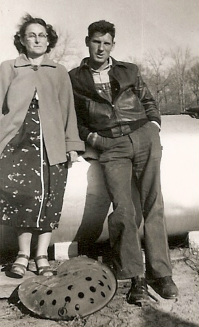 In 1958, Al relocated to North Dakota with Bettye and the first of his three children Rick, to work in the oilfield. In the latter part of 1958 Ron was born and in 1962 Jana was born. 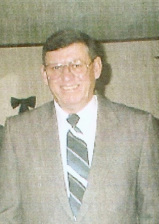 Al continued to live and work in eastern Montana and western North Dakota until 1972 when Al and family relocated to Vernal. Al worked in several different locations in the oil industry but always returned to the drilling rig. After his retirement from the oil field, he went to work doing demos in the local stores. He never met a stranger and everyone was a friend. Al enjoyed traveling many miles across Utah and eastern Colorado to support the many sporting activities that his children and grandchildren became involved with. Al loved to bowl with family and friends, Al also enjoyed activities such as fishing at Steinaker Reservoir for rainbow trout and the occasional largemouth bass, growing tomatoes in the summer and also tending to his great-grandkids. Al is survived by his wife of 54 years, Bettye Dean Guffey; and his siblings, Jay Guffey of Jacksonport, Ark., Troy Guffey of Savage, Mont., Jerry Blackburn of Searcy, Ark. and Patsy Caldwell of Columbus, Ohio; his children and their spouses Rick and Julie Guffey of Phoenix, Ariz., Ron and Jane Guffey of Vernal, Utah and Jana and Ralph Warby of Vernal, Utah; his grandchildren, Markelle and Kyle, Jolay, Daniel and Emily, David, Kara and Jennie, RC and Ashley; his great-grandkids Nevaeh, Wyatt, Colby and Taygen. Al was preceded in death by his parents, Albert and Mildred Gifford Guffey of Tuckerman, Ark. 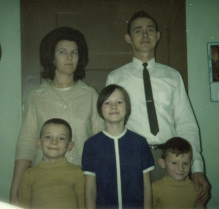 and siblings Jim of Tuckerman, Ark. and Edith of Tuckerman, Ark. Viewing will be held Sunday, February 7, 2010 from 6 to 8 P.M. at the Blackburn Vernal Mortuary. Funeral Services will be held Monday February 8 at 11:00 A.M. with a viewing one hour prior at the First Baptist Church (2100 East Hwy 40, Vernal, Utah) Interment in the Rock Point Cemetery under the direction of the Blackburn Vernal Mortuary. bowling alley, you could find them watching the Jazz game with just as much enthusiasm as they had for life. Jerry Sloan had nothing on Bettye and everyone knew it. She was not only the Jazz’s biggest fan and supporter but for her grandkids also. She could be found on the sideline cheering “rock and fire” at numerous softball games or yelling “Get Him Get Him” for the football games. Bettye was the sweetest person who would give you a hug or give you that encouraging word at just the right time. She was a great cook and baker and made sure you never left hungry. She loved baking so much that she started working on her entries for the county fair long before the competition new what hit em’. The most important thing to Bettye was her family and her faith. Her love and compassion will be greatly missed but not forgotten. A funeral service will be held Wednesday, May 2, 2012 at the Vernal Christian Church. Friends and Family may call Tuesday evening at the Peterson Funeral Home from 7 - 9 p.m., and one hour prior the service at the church. Burial will be in the Rock Point Cemetery in Maeser under the direction of the Peterson Family Funeral Home. JIMMY NATHANIEL GUFFEY (ALBERT FRANKLIN, ABNER TELL, ANDREW JACKSON, WILLIAM) was born July 22, 1935, and died 1975. He married LOIS KOLLER October 27, 1956 in Jackson County, Arkansas. 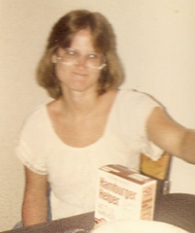 LOIS went by the name VIRGINIA and died March 20 1995 in Kankakee, Illinois and was buried in Onarga, Illinois. STEPHEN JAY GUFFEY (ALBERT FRANKLIN, ABNER TELL, ANDREW JACKSON, WILLIAM) married JOYCE FAYE DUNIVAN July 25, 1957 in Jackson County, Arkansas. 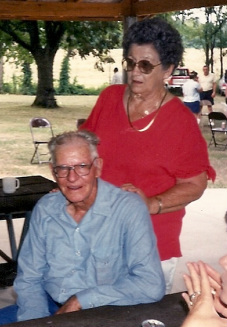 Parents: Albert and Mildred Guffey. EDITH GUFFEY (ALBERT FRANKLIN, ABNER TELL, ANDREW JACKSON, WILLIAM) was born May 05, 1939, and died July 02, 1998. She married DONALD RILEY June 05, 1958 in Jackson County, Arkansas. PATSY GUFFEY (ALBERT FRANKLIN, ABNER TELL, ANDREW JACKSON, WILLIAM) married ALEXANDER "JABO" CALDWELL January 17, 1969 in Jackson County, Arkansas. JUNCTION CITY: Samantha Kay Caldwell, 35, of Junction City, Ohio died peacefully in her sleep of natural causes on Friday, July 6, 2012 at her home. Born July 11, 1976 in Lancaster, Ohio to Floyd "Jabo" and Patsy Guffey Caldwell of Junction City, Ohio. Samantha was a member of the Lighthouse Baptist Church of Lancaster; auxiliary member of James E. Fisher Post #376, American Legion of Junction City and a previous member of the Junction City Volunteer Fire Department. She had the biggest heart in the world and never met a stranger. Survived by her parents, Floyd "Jabo" and Patsy Caldwell; brother, Frank Caldwell; three nieces, Aliena Diane Caldwell, Abbie Nicole Caldwell and Alexandria Ann Caldwell, all of Junction City and her dog, Tempy. Preceded in death by brother, Charles Edward Caldwell; grandparents, aunts and uncles. Calling hours will be held from 3pm-8pm on Monday, July 9, 2012 at the Roberts-Winegardner Funeral Home, 304 Mill Street, New Lexington, Ohio. Funeral service will be held at 11:00am on Tuesday, July 10, 2012 at the funeral home with Pastor Phillip Manning officiating. Burial will be in New Lebanon Cemetery, Junction City, OH. TROY DEVON GUFFEY (ALBERT FRANKLIN, ABNER TELL, ANDREW JACKSON, WILLIAM) He married JOYCE JOHNSTON. GROVER LAVELL GUFFEY (WOODROW WILSON, ABNER TELL, ANDREW JACKSON, WILLIAM) was born July 04, 1937. He married (1) ANN MARIE FULLER June 07, 1958 in Jackson County, Arkansas. Ann Fuller Guffey was killed in an auto accident. He married (2) DIXIE FLOYD. 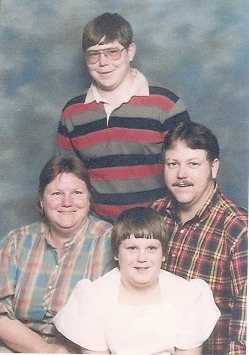 Keith, Kenny, Randy, and Suanne were raised by their paternal grandparents, Woodrow and Mabel Guffey after the death of their mother. Keith worked in various jobs in the farming community of Poinsett and Jackson counties in AR and most recently managed a deer camp in the Black Rock AR area owned by Tommy Wofford. Keith is now disabled due to degenerative disc disease. KENNETH RAY GUFFEY (WOODROW WILSON, ABNER TELL, ANDREW JACKSON, WILLIAM) married BETTY MERSEARU WILMOTH. i. KENNETH RAY GUFFEY II. BOBBIE DEAN GUFFEY (WOODROW WILSON, ABNER TELL, ANDREW JACKSON, WILLIAM) married BILL MEINOR. CAROLYN SUE GUFFEY (WOODROW WILSON, ABNER TELL, ANDREW JACKSON, WILLIAM) married CHARLES HENRY WILLIAMSON, son of ADEN WILLIAMSON. GERALD WAYNE GUFFEY (WOODROW WILSON, ABNER TELL, ANDREW JACKSON, WILLIAM) married ANN CHANEY, September 03, 1971, Jackson County, Arkansas. ANN CHANEY GUFFEY died September 2008.
ii. MICHAEL GUFFEY married JENNIFER KOTTWITZ. DANNY RAY GUFFEY (WOODROW WILSON, ABNER TELL, ANDREW JACKSON, WILLIAM) married SUSAN MONTGOMERY. BERNICE JANETTA TURNER (GLADYS HELEN GUFFEY, ABNER TELL, ANDREW JACKSON, WILLIAM) was born October 12, 1931, and died October 11, 2005. She married WILLIAM HOWARD MCLAIN November 30, 1946. 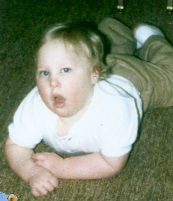 He was born 1920.
i. DAVID HOWARD MCLAIN, m. PEGGY LELAND, November 17, 1974.
ii. WALTER LEWIS MCLAIN, m. (1) PAM BRITTLE; m. (2) PATTY PARTNY, December 02, 1969; Walter Lewis McLaina nd Patty Partny divorced in 1971. m. (3) LINDA STOKER, June 10, 1974. 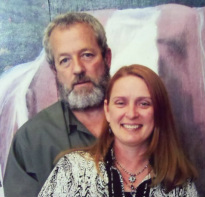 Walter Lewis McClain and Linda Stoker divorced in 1976.
iii. 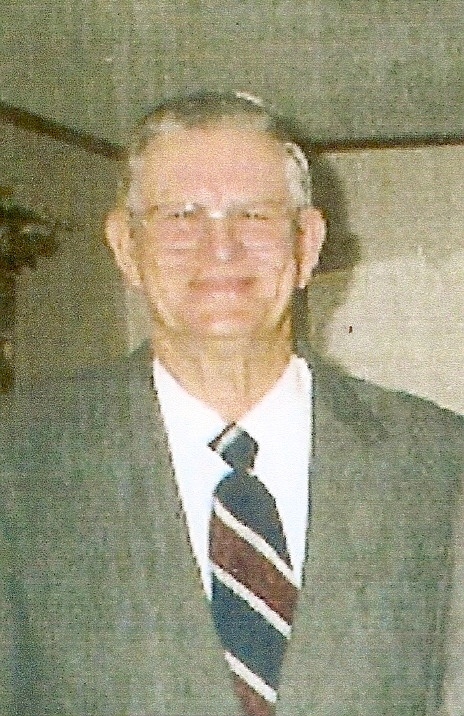 WILLIAM DWIGHT MCLAIN, b. 1947; d. 1947. CHARLES JUNIOR TURNER (GLADYS HELEN GUFFEY, ABNER TELL, ANDREW JACKSON, WILLIAM1) married EDNA DUNKIN November 29, 1949. ROBERT FRANKLIN TURNER (GLADYS HELEN GUFFEY, ABNER TELL, ANDREW JACKSON, WILLIAM1) married MARY LOU DUTTON January 26, 1952. 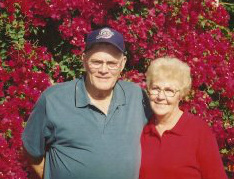 Robert Franklin Turner and Mary Lou Dutton divorced in 1975. MARTHA ALICE TURNER (GLADYS HELEN GUFFEY, ABNER TELL, ANDREW JACKSON, WILLIAM) was born August 18, 1936, and died November 13, 2007. She married (1) JAMES MONRO MCLAIN. James Monro McLain and Martha Alice Turner divorced un 1959. She married (2) BILL TROY WICK September 15, 1963. ROY EDGAR TURNER (GLADYS HELEN GUFFEY, ABNER TELL, ANDREW JACKSON, WILLIAM) was born October 16, 1940, and died December 22, 1989. He married (1) SANDRA SMITH December 24, 1961. Roy Edgar Turner and Sandra Smith divorced in 1968. He married (2) BETTY JONES September 18, 1969. He married (3) CARLENE EVANS June 04, 1971. OWEN EUGENE TURNER (GLADYS HELEN GUFFEY, ABNER TELL, ANDREW JACKSON, WILLIAM1) married (1) JODY SMICHER October 1963. Owen Eugene Turner and Jody Smicher divorced in1963. He married (2) PATSY MAYHUE July 14, 1967. BOYCE DEAN TURNER (GLADYS HELEN GUFFEY, ABNER TELL, ANDREW JACKSON, WILLIAM) married BRENDA BOYCE November 19, 1965. JIMMY RAY TURNER (GLADYS HELEN GUFFEY, ABNER TELL, ANDREW JACKSON, WILLIAM) married RUBY KNIGHT December 02, 1967. LAURA PAULINE TURNER (GLADYS HELEN GUFFEY, ABNER TELL, ANDREW JACKSON, WILLIAM) married (1) JAMES GEORGE February 19, 1964. James George and Laura Pauline Turner divorced in 1970. She married (2) WAYNE RAINS September 05, 1974. BOYCE RAY GUFFEY (WALTER DOYLE, ABNER TELL, ANDREW JACKSON, WILLIAM) married THELMA EUDY August 25, 1958 in Jackson County, Arkansas. UNA JO GUFFEY (WALTER DOYLE, ABNER TELL, ANDREW JACKSON, WILLIAM) married DARRELL VICKERS November 21, 1956. JANICE LUCILLE GUFFEY (WALTER DOYLE, ABNER TELL, ANDREW JACKSON, WILLIAM) married (1) WILLIAM HOWARD EUDY JR. September 10, 1956. He was born November 10, 1939, and died August 18, 2001. She married (2) JOHN ROBERT BAXTER August 15, 1981. GALEN LASSITER (GENEVIEVE GUFFEY, WILLIAM ROBERT, ABNER TELL, ANDREW JACKSON, WILLIAM) married PAULA GRIZZLE. SHARON LASSITER (GENEVIEVE GUFFEY, WILLIAM ROBERT, ABNER TELL, ANDREW JACKSON, WILLIAM) married PHILLIP WESSON. VIRGINIA ANN DURHAM (VELMA JEAN GUFFEY, WILLIAM ROBERT, ABNER TELL, ANDREW JACKSON, WILLIAM) married MICHAEL FINN. VICKIE DIANE WARREN (VELMA JEAN GUFFEY, WILLIAM ROBERT, ABNER TELL, ANDREW JACKSON, WILLIAM) married JIM DINGMAN. MICHAEL RAY WARREN (VELMA JEAN GUFFEY, WILLIAM ROBERT, ABNER TELL, ANDREW JACKSON, WILLIAM) married CYNTHIA ANN WEAVER. BILLY MAX WARREN (VELMA JEAN GUFFEY, WILLIAM ROBERT, ABNER TELL, ANDREW JACKSON, WILLIAM) married KIM MELTON. KAREN MAXINE married TERRY BRADLEY September 06, 1986. RICHARD GARY GUFFEY (ALBERT GUFFEY JR., ALBERT FRANKLIN GUFFEY, ABNER TELL, ANDREW JACKSON, WILLIAM) married JULIE ANN SHORT. LATASHA DANILLE GUFFEY (GERALD WAYNE, WOODROW WILSON, ABNER TELL, ANDREW JACKSON, WILLIAM) married BRANDON MICHAEL HERICKS. KEITH GUFFEY (GROVER LAVELL, WOODROW WILSON, ABNER TELL, ANDREW JACKSON, WILLIAM) married (1) JACKIE PRIEST. He married (2) DEANA TEAGUE. MICHAEL GUFFEY (GERALD WAYNE, WOODROW WILSON, ABNER TELL, ANDREW JACKSON, WILLIAM) married (1) JENNIFER KOTTWITZ. He married (2) VICKI DRAKE. SHERLENE TURNER (CHARLES JUNIOR, GLADYS HELEN GUFFEY, ABNER TELL, ANDREW JACKSON, WILLIAM) married FLOYD EUGENE JONES December 14, 1973. NANCY DIANE TURNER (CHARLES JUNIOR, GLADYS HELEN GUFFEY, ABNER TELL, ANDREW JACKSON, WILLIAM) married THERMON DALE WALLACE July 28, 1974. MARY GAIL TURNER (ROBERT FRANKLIN, GLADYS HELEN GUFFEY, ABNER TELL, ANDREW JACKSON, WILLIAM) married BOBBY JOE WADE December 26, 1972. He was born November 10, 1954. CYNTHIA ELAINE EUDY (JANICE LUCILLE GUFFEY, WALTER DOYLE, ABNER TELL, ANDREW JACKSON, WILLIAM) was born in Newport, Jackson County, Arkansas. She married (1) WILLARD ALLEN ZUBER. He was born September 25, 1956, and died August 11, 1984. She married (2) JOE TUBBS November 01, 1982. Joe Tubbs adopted Tammy Lynn Zuber. ii. DAVID TUBBS, born in Sarasota, Florida. David's parents were Danette and David Liska. David was adopted by Cindy and Joe Tubbs. iii. JONATHAN DARRELL TUBBS, b. August 04, 1982; d. August 04, 1986. JANA DARLENE EUDY (JANICE LUCILLE GUFFEY, WALTER DOYLE, ABNER TELL, ANDREW JACKSON, WILLIAM) was born in Newport, Jackson County, Arkansas. She married DON HARDIN. i. VARIEA HARDIN, born in Newport, Jackson County, Arkansas. ii. JEREMY KYLE EASTER, born in Newport, Jackson County, Arkansas. DANETTE LA'THRESE EUDY (JANICE LUCILLE GUFFEY, WALTER DOYLE, ABNER TELL, ANDREW JACKSON, WILLIAM) was born in Jonesboro, Craighead County, Arkansas. She married DAVID LISKA. KENNY DINGMAN (VICKIE DIANE GUFFEY, VELMA JEAN GUFFEY, WILLIAM ROBERT, ABNER TELL, ANDREW JACKSON, WILLIAM) married GAYLA DOYLE. TONYA ANGELINE DINGMAN (VICKIE DIANE GUFFEY, VELMA JEAN GUFFEY, WILLIAM ROBERT, ABNER TELL, ANDREW JACKSON, WILLIAM) married JASON PHILLIPS. JENNIFER RENAE WARREN (MICHAEL RAY WARREN, VELMA JEAN GUFFEY, WILLIAM ROBERT, ABNER TELL, ANDREW JACKSON, WILLIAM) married CLINT RITCHIE. ANNA MICHELLE WARREN (MICHAEL RAY WARREN, VELMA JEAN GUFFEY, WILLIAM ROBERT, ABNER TELL, ANDREW JACKSON, WILLIAM) married T. J. BOWEN. MEGAN AMBER WARREN (BILLY MAX WARREN, VELMA JEAN GUFFEY, WILLIAM ROBERT, ABNER TELL, ANDREW JACKSON, WILLIAM) married BRANDON WILLIAMS November 11, 2011. 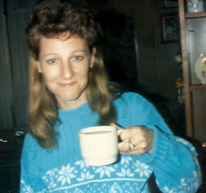 TAMMY LYNN ZUBER (CYNTHIA ELAINE EUDY, JANICE LUCILLE GUFFEY, WALTER DOYLE, ABNER TELL, ANDREW JACKSON, WILLIAM) married ALLEN TENNYSON March 06, 1999.
i. SAMUEL ALLEN TENNYSON, born in Jonesboro, Craighead County, Arkansas. VARIEA HARDIN (JANA DARLENE EUDY, JANICE LUCILLE GUFFEY, WALTER DOYLE, ABNER TELL, ANDREW JACKSON, WILLIAM) was born in Newport, Jackson County, Arkansas. She married CHRIS MCGARRAH April 1996. JEREMY KYLE EASTER (JANA DARLENE EUDY, JANICE LUCILLE GUFFEY, WALTER DOYLE, ABNER TELL, ANDREW JACKSON, WILLIAM) was born in Newport, Jackson County, Arkansas. He married CINDY JACKS. Jeremy Kyle was put up for adoption. Jeremy Kyle Easter. KYLE ERIN LISKA (DANETTE LA'THRESE EUDY, JANICE LUCILLE GUFFEY, WALTER DOYLE, ABNER TELL, ANDREW JACKSON, WILLIAM). KYLE married ERIC TORRESCARCOVICH. REGINA RILEY, (EDITH, ALBERT FRANKLIN, ABNER TELL, ANDREW JACKSON, WILLIAM) She married DON BENNETT in Jackson County, Arkansas.